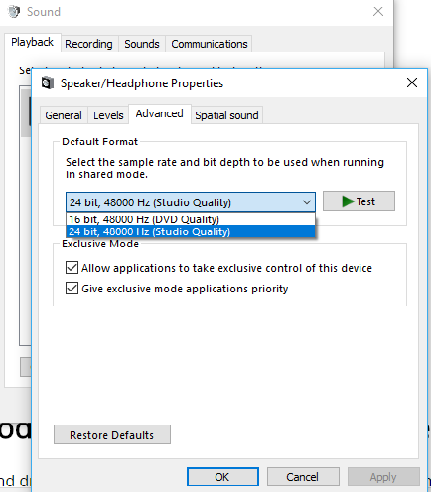 If you have upgraded your older version of Windows to the latest version of Windows 10 you might experience a condition where there is no sound coming from your PC immediately after upgrading from the previous version. This is a very normal issue which most of the windows 10 users have been experiencing after upgrading their OS. However, this matter is very easily solvable. Below mentioned are some of the methods which could be used to fix the problem. However, it is not mandatory for you to try out all of the methods which have been explained below. Step 1:Right click on the sound icon on the right bottom side of your desktop. 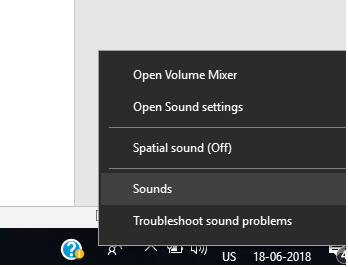 You will find the sounds option. Click on it. Step 2: after you have clicked on the sounds option, you will be guided towards a pop up window from where you would be needed to click on the Playback option. Step 3: Make sure in the playback tab, your preferred output device is green ticked. 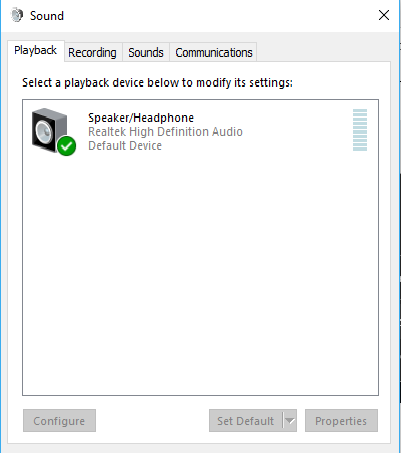 This indicates that these speakers are your default Playback devices. If they don’t happen to be ticked, then it is obvious that problem is due to this. To fix this, just click on them, Set Default and click on OK. Check whether sound is coming or not accordingly. 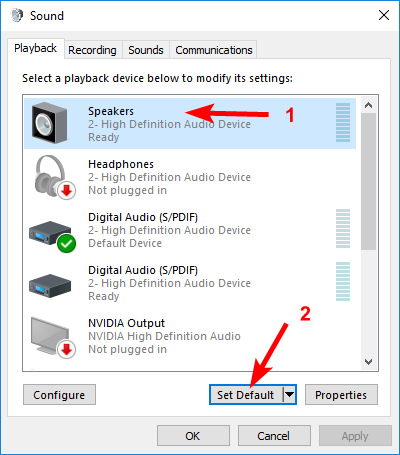 Step 4: if the speakers are still not giving out any sort of sound even after setting them as Default Playback devices, then click on properties. Step 5: After clicking properties, a pop up window would appear and from there you need to select advanced option. From there, select the working format in accordance with your speaker and click on OK. 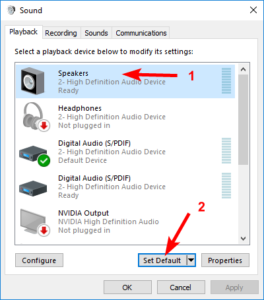 If your audio driver has somehow been damaged, corrupted or has become incompatible with the latest version of Windows 10, then you should just simply uninstall your audio driver from the system for the time being since you won’t be able to hear any sound with the corrupted audio driver. Step 1: Click on the Windows Logo Key and press x at the same time to bring up a pop up menu on the left bottom corner of your screen. Step 3: In the device manager window, click on the sound, video and game controllers. 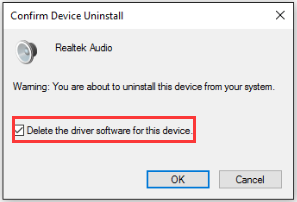 In there, right click on your pre-installed sound card and click on Uninstall. Step 4: when asked for confirmation, click on the confirmation check box and click OK.